The silver market has fallen over 30 dollars since the high of 50 dollars and has been making lower highs and lower lows since May of 2011. However the weekly ranges have been getting smaller and smaller. There is now attendant volume i.e. 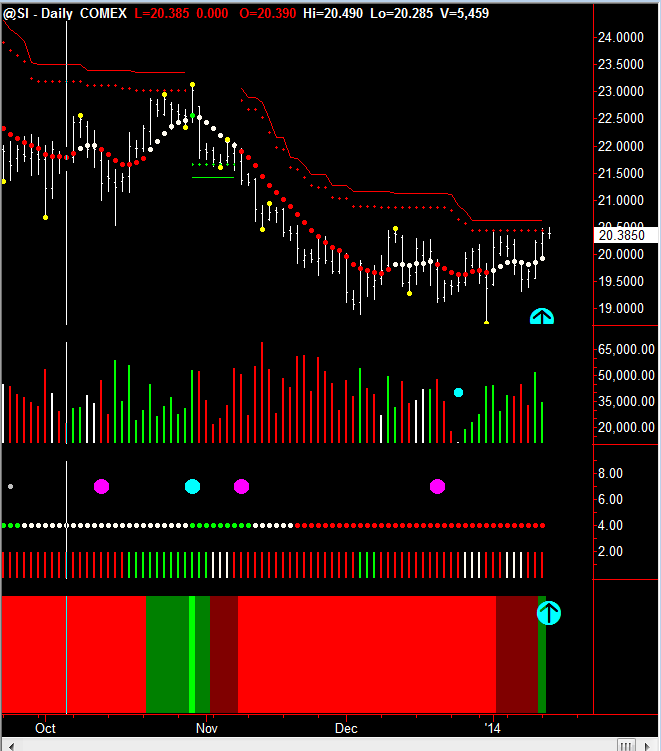 accumulation volume on the daily chart (see cyan arrow) and also on the weekly chart (see cyan arrow). 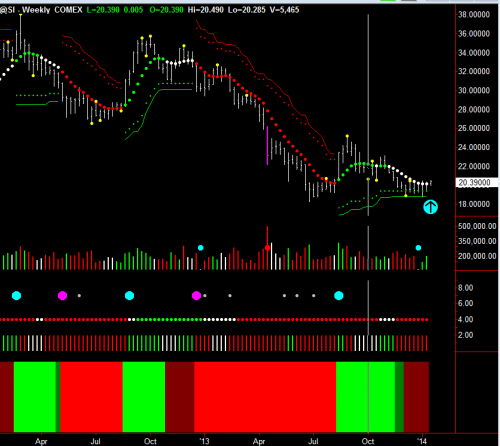 This is showing classic stopping volume in the down trend and is the precursor of an up move. 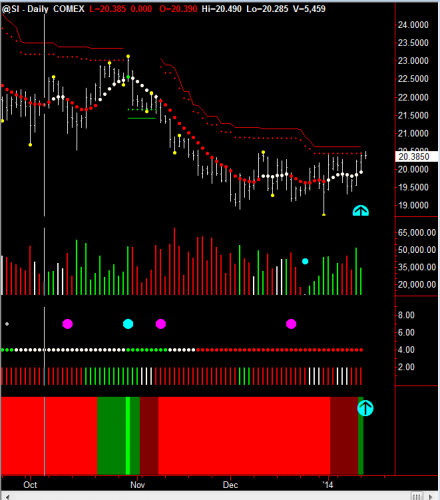 Previous PostPrevious In FOREX, the Fatman is Boss! It Makes Money.